Protective pigment-reducing Day Cream with SPF 30. This moisturising SPF 30 cream effectively reduces the appearance of hyperpigmentation for a brighter and more even complexion. 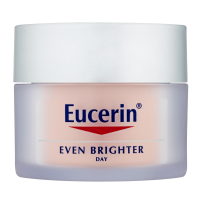 Eucerin Even Brighter Pigment Reducing Day Cream SPF 30 is clinically and dermatologically proven to reduce the appearance of dark spots and uneven skin tone caused by hyperpigmentation. The formula, containing skin lightening B-Resorcinol, reduces the appearance of hyperpigmentation. It also contains Glycyrrhetinic acid which can be shown to support skin's own damage repair processes (in-vitro). And with its high SPF 30 and UVA protection, it effectively helps prevent further sun damage and pigmentation. Your skin will looks visibly brighter and more even with regular use. 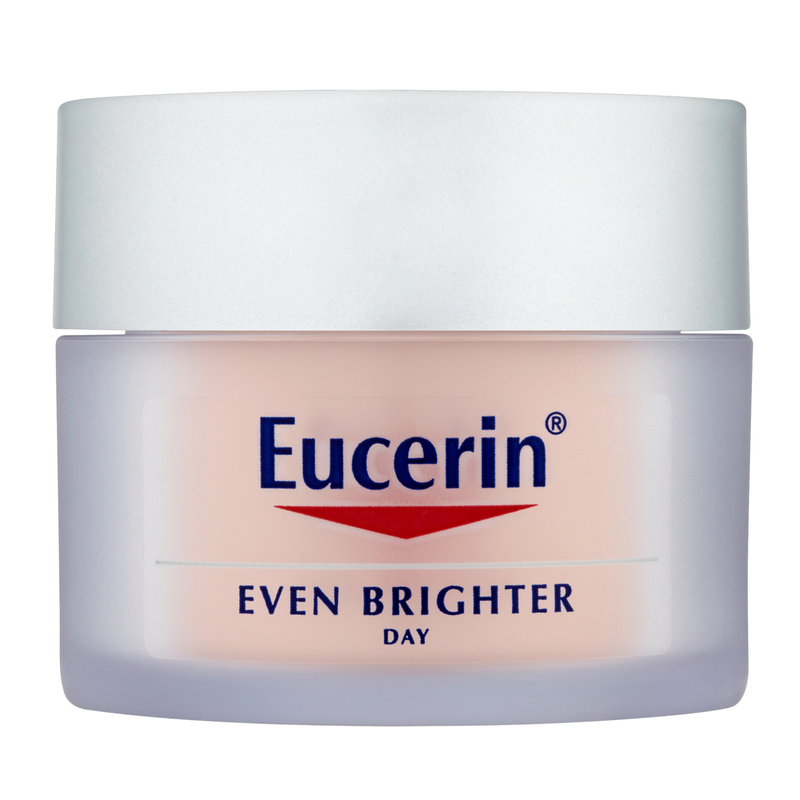 Directions: Apply a small amount of Eucerin Even Brighter Pigment Reducing Day Cream SPF 30 to your face, neck and décolleté (chest). Massage gently into your skin, avoiding contact with your eyes. Ingredients: Aqua, Homosalate, Octocrylene, Glycerin, Butyl Methoxydibenzoylmethane, Ethylhexyl Salicylate, Glyceryl Glucoside, Dimethicone, Glyceryl Stearate Citrate, Cetearyl Alcohol, Phenylbenzimidazole Sulfonic Acid, Butyrospermum Parkii Butter, Lauroyl Lysine, 4-Butylresorcinol, Glycyrrhetinic Acid, Acrylates/C10-30 Alkyl Acrylate Crosspolymer, Sodium Carbomer, Trisodium EDTA, 1,2-Hexanediol, Phenoxyethanol, Methylisothiazolinone, Parfum.